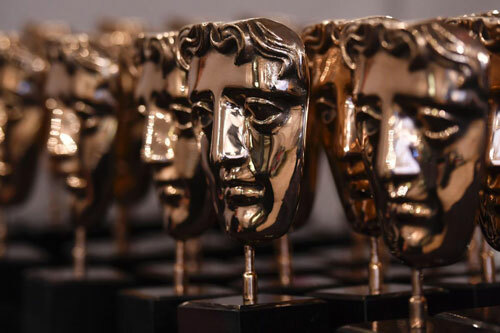 If there’s anything that can be said with almost near certainty, it’s that there will be no surprises in the acting categories at the Academy Awards this Sunday. And that’s not a bad thing; all of the actors are more than deserving. To wit: Gary Oldman, for his masterful mix of bravura and benevolence as Winston Churchill in The Darkest Hour; Frances McDormand’s steely determination as a mother robbed of her violently murdered daughter in Three Billboards Outside Ebbing, Missouri; Sam Rockwell as the racist cop turned unlikely comrade-in-arms to McDormand in the same film; and finally, Allison Janney as figure-skating’s mother from hell in the Tonya Harding biopic, I, Tonya. Though there may be no mystery in who’ll be receiving the top acting accolades, I did find some surprises amongst the other nominees (and one shockingly overlooked performance) featured in the most acclaimed movies of the year. 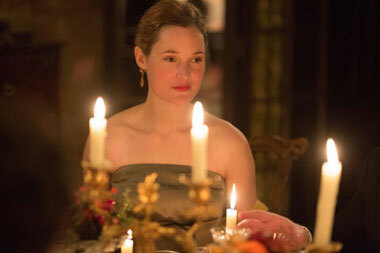 Luxembourg-born Vicky Krieps was an actress previously unbeknownst to me – and to most, it’s safe to assume – yet what a revelation she is as partner to Daniel Day-Lewis, who plays the tyrannical fashion designer in the moody and evocative period piece, Phantom Thread. 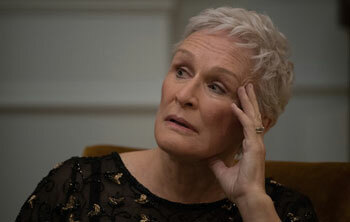 Just the fact that she more than holds her own with the titanic talent that is the three-time Oscar winning British thespian (in possibly his final film performance) is sheer marvel. To crib from an Eminem lyric, he’s the tornado meeting the volcano at the heart of Kriep’s character, both patching into each other’s less-than-healthy neuroses in a way that (hey!) works for them. Krieps’ co-star Lesley Manville, in the role of Day-Lewis’ sister (and crisp as a Scarlatti sonata) grabbed the nomination for supporting actress, but it’s grand theft that she and Krieps could not have at least shared the glory. Timothée Chalamet (Call Me By Your Name) and Daniel Kaluuya (Get Out) will also come away empty-handed, but both left their indelible impact in vastly contrasting fashion — Chalamet’s by way of his soft and wondrous exploration of a young man’s coming to terms with his newly found and ambivalent sexuality; Kaluuya in a riveting turn that’s captured in an image as iconic as Macaulay Culkin’s “scream” visage from Home Alone. In the male supporting category, I was most moved by the magnificent veteran actor Richard Jenkins, whose lovely effort as the lonely best friend to Sally Jenkins in The Shape of Water was just one of the highlights of what I’m hoping will come away with the Best Picture honors. 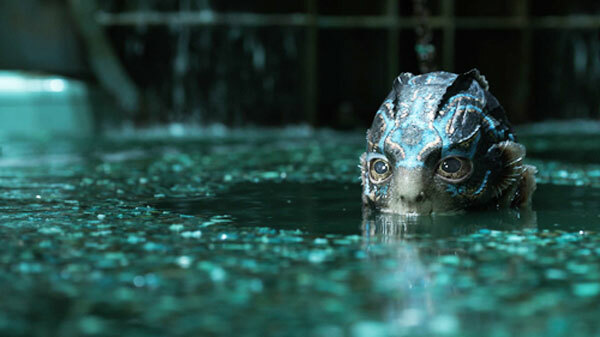 Director Guillermo del Toro’s exquisite panoply of fantasy and pathos reminds us of the unbounded geography of love, in stunningly visual and emotional terms. If the acting winners look to be set in stone, the main prize is totally up for grabs, and with any luck, the artistic achievements of Water will come out on top in the end (though Three Billboards is giving it a mighty race for the money). Here’s rooting for the Fish Man! 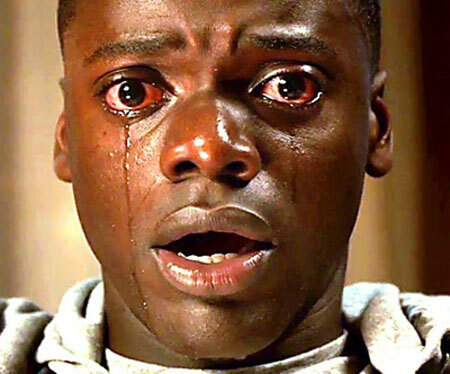 Faces of Oscar: In 2011, a slight, gimmicky, and not particularly transcendent film swept the awards season, culminating with five Academy Awards after garnering a whopping ten nominations. Shot entirely in black and white and with the added novelty of being a silent picture, The Artist was the toast of Hollywood – yet now, just six years later, is not much remembered. I feel pretty much the same way about this year’s cinema célèbre – the slight, gimmicky, and also not particularly transcendent La La Land. It’s sweet, it’s cute, and one can appreciate its escapist musical charms at a time when they’re more necessary than ever. But 14 Oscar nominations? My feeling is it’ll be joining The Artist in barely remembered territory a few years down the road. 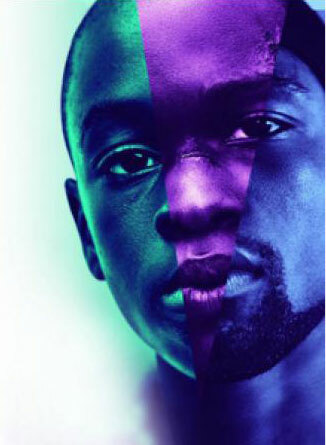 Count me in the Moonlight camp for this year’s Best Picture. It’s really the one true work of art amongst this year’s nominees, carving a little piece of real estate in that cultural and artistic landscape of the soul. (Yes, this one IS transcendent.) In colors and music and use of silence it paints a coming of age story that sings of hope amongst despair, and those connections that mark us for life, no matter our backgrounds. Though I’ll be more than delighted when Viola Davis wins the Supporting Actress award for Fences, Naomie Harris as the crack-addicted mother in Moonlight runs a close second, and Mahershala Ali, as mentor to the child version of the protagonist, Chiron, is similarly moving. In spite of what looks to be a La La Land juggernaut which will likely include its female star Emma Stone as Best Actress, I’ll go on the record that it’s long past due that Isabelle Huppert, known in film circles as the French Meryl Streep, wins her first Oscar. 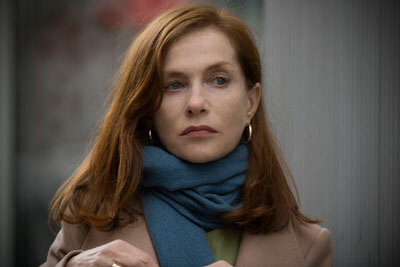 In Elle, a psychological thriller (inexplicably left out of the Foreign Language Film nominations), directed by Paul Verhoeven, she owns a role which I’d venture to say even Streep would find a challenge. It’s a quirkily dark depiction of a woman who suffers from unspeakable emotional damage, yet finds some weird empowering strength in those very elements that would have put anyone else over the deep end. Well, most would actually say she is off the deep end, but Huppert’s steely-eyed performance, devoid of any pathos whatsoever, is a master class in deliberative acting. Not much chance she’ll steal the award from Ms. Stone, but one can hope. 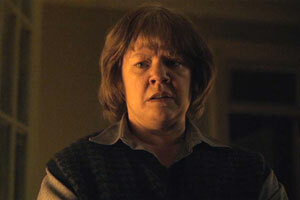 Speaking of theft, the biggest case of robbery in the acting nominations concerns Annette Bening. Though much has been made of the passing over of Amy Adams (for both Arrival and Nocturnal Animals) for a Best Actress nod, the exclusion of Bening for her extraordinary performance in 20th-Century Women is nothing short of grand larceny. As much as I adore Streep, Florence Foster Jenkins was really no more than a curio piece elevated only by her usual magnificent presence; another nominee, Ruth Negga in Loving, though luminous in a quiet and stoic performance, could also have been painlessly sacrificed for the inclusion of Bening. Arguably the greatest living American actress whose initials are not MS, one wonders how long she has to wait to claim the prize that’s been rightfully hers — going on the fifth time. Regarding the men, I had a late change of heart about Casey Affleck, so lauded for his introspective characterization of a janitor carrying the weight of the world on lonely shoulders in the melancholy Manchester by the Sea. Not a change of heart about the performance itself, mind you, which is haunting, fragile yet tenacious, remarkably inward without bordering on indulgent. 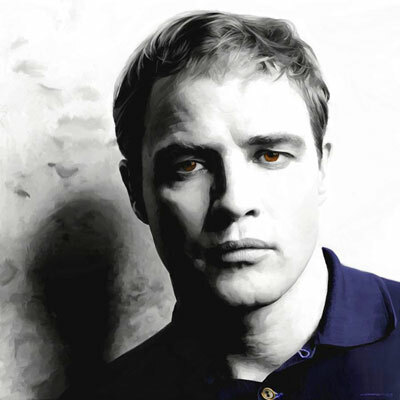 Nope, Affleck was indeed quite wonderful. But there was something about Denzel Washington in his adaptation of the August Wilson play, Fences, that unexpectedly won me over in its solidity and strength. What a treasure he is. Should he win, it would mark Washington’s third Oscar, a testament to his reassuring survivability. As for feel-good movie of the year? Let the Lion roar. 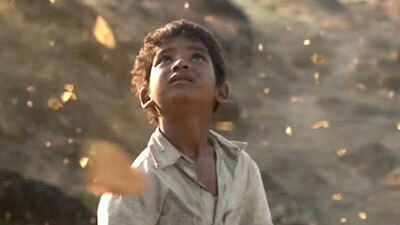 As engrossing a first half of a film I’ve seen in a while, Lion’s real-life message of hope that cannot be quenched (buoyed by a touchingly absorbing performance by the child actor Sunny Pawar) is one that long lingers. Its place in the wildly creative and diverse jumbo of the Oscar mix this year is more than welcome. And one more reason to tune in and see what happens on Sunday. Girl Power: You know it’s an outstanding year for women in film when one of our greatest living actresses is considered an also-ran in the run-up to the Oscars. I’m referring, of course, to Cate Blanchett, who at one point seemed a lock for the Best Actress prize for her performance in the moody and evocative Carol, which proved the critics’ darling — but not so much of the Academy, it seems. How the film wasn’t nominated for Best Picture, with a couple of slots left open in the category, is beyond me. Adding insult to injury was denying a nod to Todd Haynes’ brilliant direction. Opinion has coalesced around Brie Larson, as a mother whose ferocious love under unthinkable circumstances saves her son but brings her to the throes of madness in Room. She’s the definite front-runner, and her wins at the Screen Actors Guild and BAFTA awards only solidified that perception. As good as Larson was, and as extremely difficult it was a role to play, I still have to say that Saoirse Rohan in Brooklyn was also a real discovery. A quiet, beautifully shot film filled with nuance and emotion, Brooklyn captures the heart largely through Rohan’s luminescent, inward melancholy, and stamps her as one to watch going forward. It’s likely that many won’t see 45 Years, which is a shame, as Charlotte Rampling — star of a number of art-house films in the ‘60s and ‘70s — carves a breathtakingly intelligent performance as a woman whose world is rocked after decades of marriage to a man she only thought she knew. Rampling’s fortunes in the Best Actress category fell precipitously after some inartful comments regarding the “Oscars-so-white” controversy, but her performance is nevertheless a revelation: the damage of a belated emotional betrayal conveyed in all its confounding complexity. An interesting conundrum takes place for Best Supporting Actress, with the awards season’s “It” girl, Alicia Vikander, nominated for The Danish Girl. The performance is no more “supporting” than Lawrence’s was in Joy, but, alas, the Academy moved her out of the main group into this competition, which also includes another Jennifer (Jason Leigh), as well as Rooney Mara, Rachel McAdams, and Kate Winslet. The truth is Vikander’s haunting role as an AI creation in the magnificent Ex Machina is the one that deserved the supporting nod, and she should have gotten a double nomination for leading actress in Danish Girl. (Guess the voters were afraid of showing too much love.) Eddie Redmayne, playing a pioneer in the annals of the LGBT movement, may have received more of the attention, but Vikander’s turn in Girl largely made his wonderful performance possible. 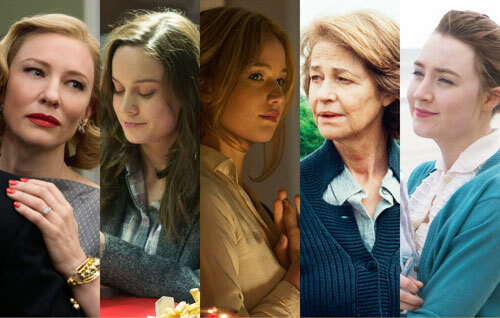 But no matter a boo-boo here or there, it’s one of the strongest years in recent memory for female performances. Let’s not forget it wasn’t that long ago that Sandra Bullock actually won an Oscar for the forgettable The Blind Side. Whoever wins this Sunday, I doubt I’ll come way disappointed. Surprisingly overlooked in the feature documentary category at this year’s Academy Awards is an unforgettable depiction of the man considered the greatest American actor of the 20th Century — as told in his own words, and culled from private audiotape recordings that served as a therapeutic escape for one of the most complex and fascinating personalities to ever appear on a movie screen. 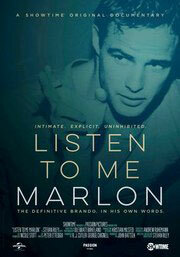 Listen to Me Marlon (which David Edelstein of New York magazine has called “the greatest, most searching documentary of an actor ever put on film”), is directed and edited by Stevan Riley in mesmeric fashion, complementing the jarringly personal narrative of Brando’s often stream-of-consciousness thoughts with rarely-seen video footage perfectly in sync with each moment. Which of course it did, and quite loudly, but even worldwide fame and acclaim don’t always win you accolades from those whom you want them most. 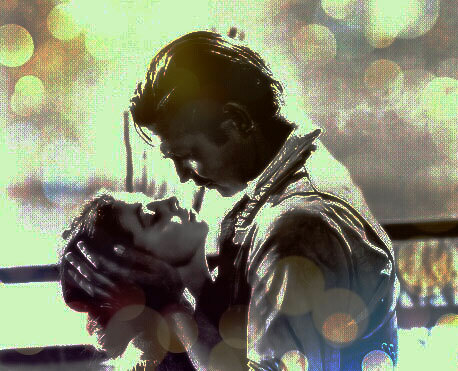 Though it’s considered one of the great love stories of all time, I’ve always been more amazed at how much of an antiwar film Gone with the Wind really is. When one realizes that the movie, which marks its diamond anniversary this year, was released prior to the most crushing conflict in world history, the perception is even more remarkable. Amidst the spectacle, the emotions, the sheer volume of it all, the underlying “war is hell” theme can be easily overlooked; at best it usually doesn’t leave an overriding impression. In hindsight, however, Gone with the Wind can be incorporated as part of an important group of socially significant films which flourished during the late ‘30s and ‘40s — particularly those of Frank Capra (Mr. Smith Goes to Washington, Mr. Deeds Goes to Town) — that have yet to be equaled in their capturing of folk America with a populist comment.